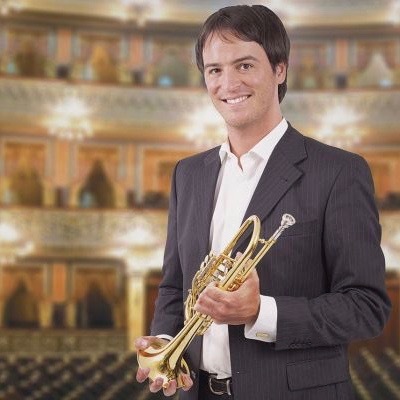 Daniel Crespo, Buffet and Gerd Dowids artist, is principal trumpet in the Philharmonic Orchestra of the Teatro Colón, Buenos Aires, Argentina.He started his studies at an early age thanks to the musical environment in which he grew up, starting first with piano and guitar, leading him to trumpet at the age of 17, which he shall never abandon. He continues his professional musical studies in the universities of Graz, Austria and Hamburg, Germany with professors Uwe Köller and Matthias Höfs, where he performs his first orchestral experiences in the prestigious Gustav Mahler Jugendorchester, under the conduction of Claudio Abbado, and other youth orchestras: Young Philharmonic of Austria, Austrian Brass Band, and Wiener Jeunesse in Vienna. Then he takes a year of improvement with professor Rudi Korp at the Brass Academy Alicante in Spain. At the age of 20 he begins his professional career as a guest in great orchestras such as SWR Symphonie Orchester Freiburg, Mahler Chamber Orchestra, Hamburger Staatsoper, Boston Philharmonic, Bilbao Sinfoniae Orkesta and Qatar Philharmonic among others. As a scholar he became part of the Hamburg Symphonic Orchestra in the position of substitute soloist. great critic and public success. He is regularly invited to the brass festivals Summer Brass Alicante in Spain and Isla Verde Bronces in Argentina. He is also professor at the Crespo Brass Academy in Schwäbisch Hall,Germany and Montevideo, Uruguay. Since 2017 he is member in the jury of the Eric Aubier Latin-American competition. most important orchestras and bands of Latin America.